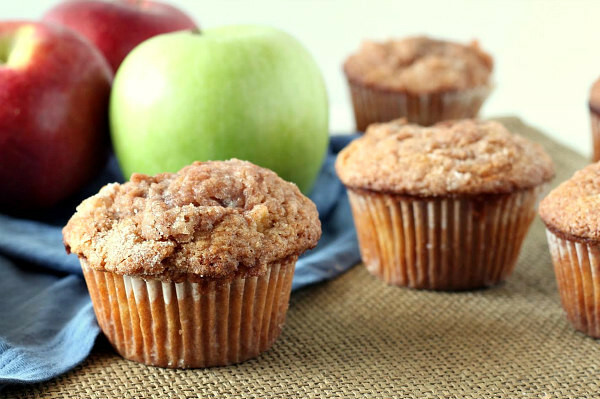 These Easy Apple Cinnamon Muffins are a simple breakfast recipe for fall mornings. 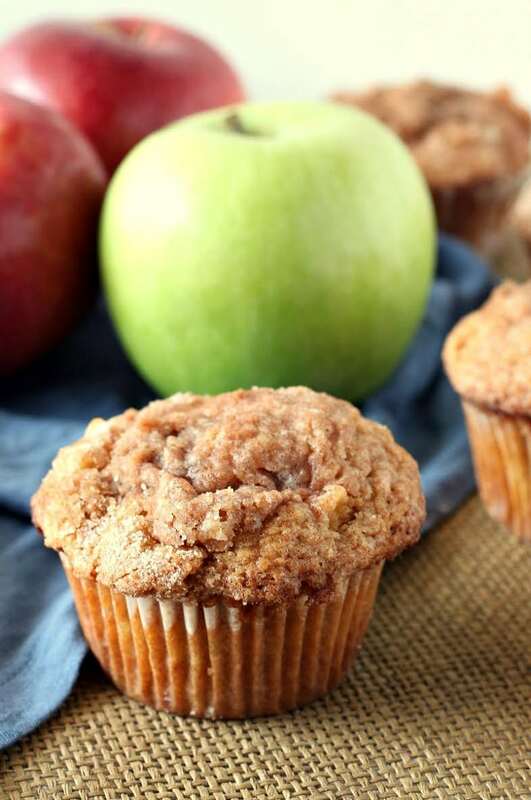 Watch the short video showing you how to make these Apple Cinnamon Muffins, then scroll to the end of this post and print out the recipe so you can make them at home! These muffins are wonderful because they have a delicious layer of crumb on the tops. If you’re anything like me, I like to eat the crumbly top before I devour the rest of the muffin! 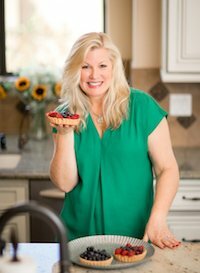 There are tips in the recipe below for flour substitutions and how to cut down on fat. When my now 6 foot 4 giant child was a wee one, we used to pack the car with a picnic and head to the local San Diego mountains on fall weekends. Those weekends are full of great memories such as going to the pumpkin patch and running through the corn maze, standing on tippy toes near the fences to pat the horses and dig into sheep fur, and sipping hot apple cider when there was a good chill in the air. We often took our family photo at the pumpkin patch– standing in the remains of a long-ago picked corn field. Those were the days. And they were days I likely won’t be able to get back since 16 year olds aren’t so hip on hanging out with their parents at pumpkin patches any more! The best part of those fall weekends was our time at the apple-picking orchards. If you’ve never been apple picking, it’s one of those things you must do. It’s not even like the apples are the best apples you’ve ever eaten, but the experience of walking around with a bucket and picking apples directly from the trees is super fun. And it’s really a nice thing for the kids to experience too. Be sure to investigate (Google!) to see if you have any apple orchards near you. Usually they invite the public in to pick their own apples for a certain dollar amount per basket or by the pound. It’s so much fun! Kids have always read in books that apples come from apple trees. But to actually stand in front of an apple tree, pick apples and put them in a basket… that’s a completely different experience! 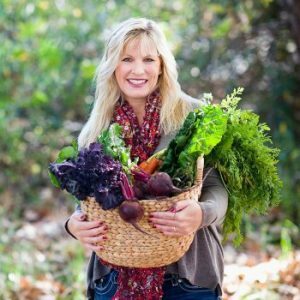 They’re seeing the connection between plants and food and what we can create at home with that food. That’s so important! The best part of the whole apple picking experience is coming home with loads of apples and deciding what you’re going to make. I always make a good batch of applesauce with my apples. 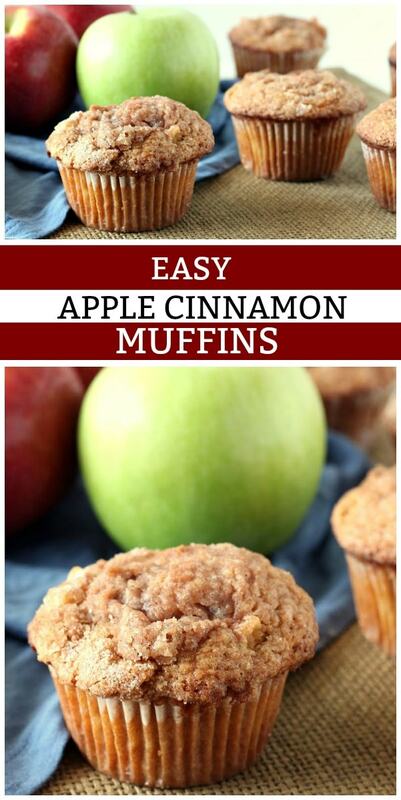 And baking cakes, apple bread and these Easy Apple Cinnamon Muffins is most often on the agenda too! Ask your kids what they’d like to make with your bounty of apples, and get them in on the cooking and baking action. You’ll create wonderful memories! 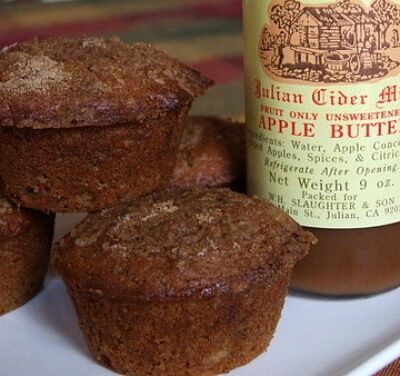 Here are a few baking recipes to try if you have a bucket-full of apples! 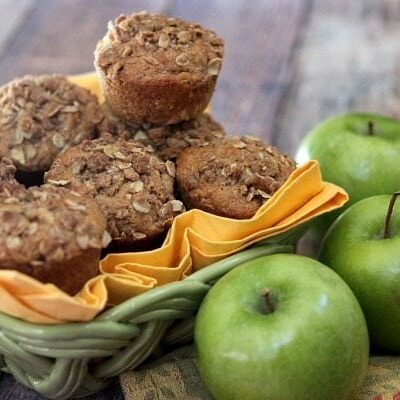 These muffins are easy to make, and they're smack full of apple chunks and sweet cinnamon! Preheat oven to 400°F. Grease a 12-cup muffin tin or line with paper muffin liners. In a medium bowl whisk together dry ingredients. Add oil, egg and milk and stir just until combined. Fold in apples. Divide batter between the 12 muffin cups. In a small bowl, mix topping ingredients, blending together with a pastry cutter or fork. Sprinkle over unbaked muffins. 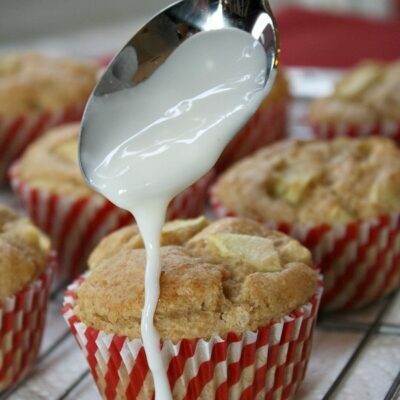 Bake 15 to 20 minutes, or until a toothpick inserted in center of muffin comes out clean. To lighten up the recipe a bit, fill the 1/3 cup measuring cup with 1/2 applesauce and 1/2 oil. The muffins will turn out just as moist. 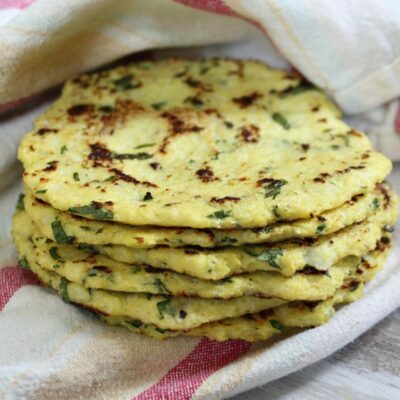 This recipe may also be made with white whole wheat flour in place of traditional whole wheat flour. This recipe was originally shared in 2008. It was updated and re-published in 2018.
these are so perfect for fall! Weather is finally cooling down and I am so glad to have found a recipe that is sooo worth to turn the oven on. 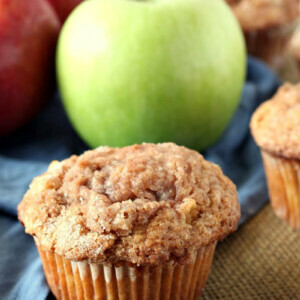 Bring on the apples I am making this apple cinnamon muffins!!! ? Wow, I need these with my tea this morning! 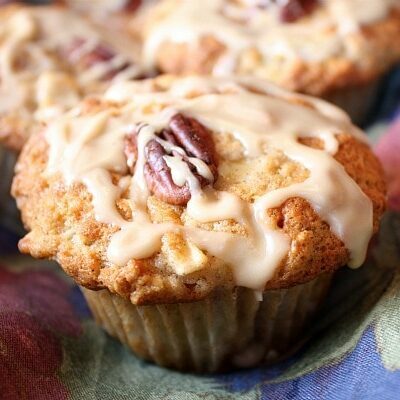 These muffins are incredible. Like others i made a few changes. I used all A/P flour, subbed 1/2tsp of cinnamon for pie spice and added 1/2 tsp vanilla. I also made half of the batch with some peanut butter cups but haven’t tried yet. The house smells amazing! Such an easy and delicious recipe! These were so delicious! I added a total of about 1/2c of milk since it looked too dry to me. Thank you! 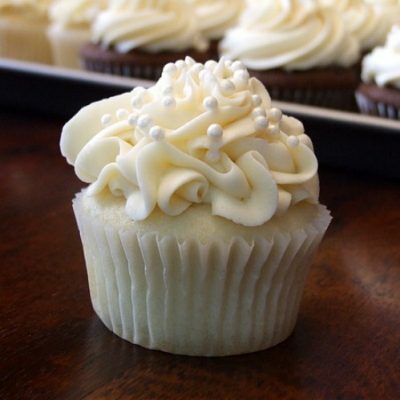 Made these today, just as it is printed, delicious! I use MacIntosh since that is what I had. Also made a small batch of vegan for my daughter using coconut oil instead of butter and the applesauce. Turned out so well. Thank you for the recipe! I also found the batter to be quiet thick but decided to continue using the recipe. I liked the simplicity of the recipe (my 2 year old son also helped!) They turned out a treat and taste very yum! Do you know the ratio for making them into mini muffins? Usually double- but you’ll need to reduce the baking time and just keep an eye on them until they’re done. I’ve tried it and it’s yum! Tried these tonight, batter was a little thick. It they tasted great! Batter was thick, but no problem muffins turned out fine. I used all purpose flour for all flour in recipe, Honeycrisp and Gala apples,. added a bit of vanilla, half diced caramel cube per muffin and placed into batter in muffin cup before adding topping. Also added pecans to half of recipe. My hubby loves them! As a bonus the house smells wonderful. Thanks for sharing. Could I use apple cider instead of milk? I’ve not tried anything but milk, so I’m not sure! Quick, easy and delicious! I substituted 1/4 c milled flax seed for 1/4 c flour as I didn’t have any whole wheat in the house. Love that you can add the wet into the dry (saves a bowl from needing washing!). What type of Apple works best for this recipe? I like to use Granny Smith apples for baking. Made these tonight with only all purpose flour and they were spectacular!! My new favorite fall treat! Mine all fell in and are really dry and fall apart 🙁 the only thing I changed was using all purpose flour, since I didn’t have whole wheat on hand. Batter seems thick. What should I do? Double checked the recipe twice. I’m not sure- how did they turn out for you? Do you think i could use all white flour in the recipe and skip the whole wheat ? *i dont have WW in the house and really want to make these!